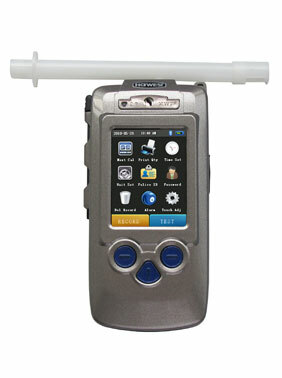 AT8900 is an advanced portable Breath Alcohol Tester with an up-to-date design and an easy to use interface. Its core component adopts a Changeable Electrochemical Sensor module that makes the tester more accurate, highly sensitive, provided of a strong anti-jamming ability as well as easy calibration. The design of its multicolor OLED, its simply keyboard, and touch screen technology make this tester fast and suitable for outdoor use. The anti-return mouthpiece ensures the health and safety of users. 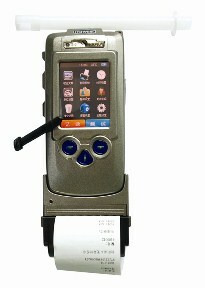 This product is useful for drunk driving detection or industrial medicine inspections, thus helping avoiding accidents and protecting human life. Its delicate appearance and comfortable handle make this alcohol tester the best choice for breath alcohol testing. Memories: 20,000 memories stored with full information, like driver information, vehicle No., Police ID, testing result and type, date and time, location, calibration date etc.